Historically the itinerant theaters such as the Commedia dell'Arte or that of Moliere were acting on the "piazza" on a "stage" made out of floorboards set on trestles, the Piccolo Teatro. 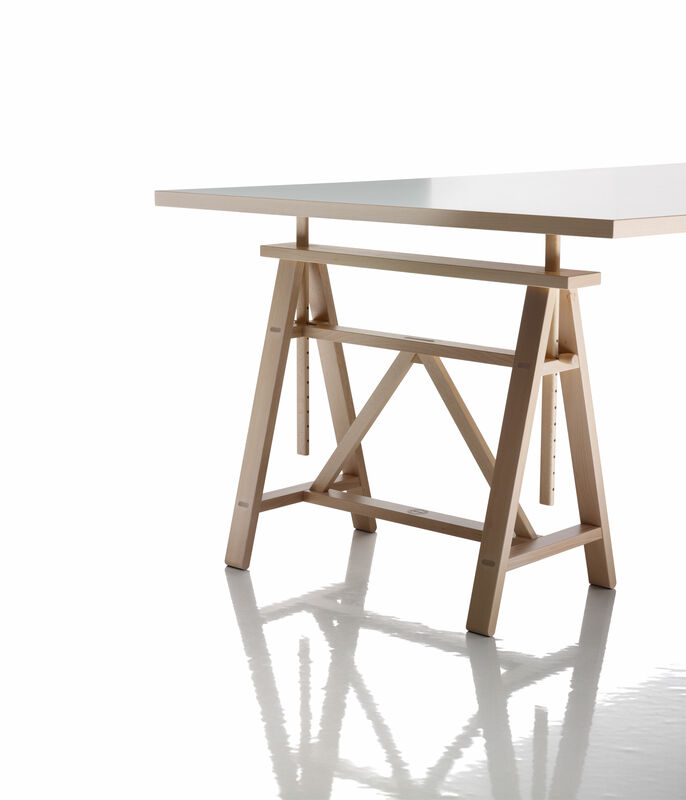 The cavalletto Teatro is the Archetype of the adjustable trestle used with the drawing board by artists, architects, etc. 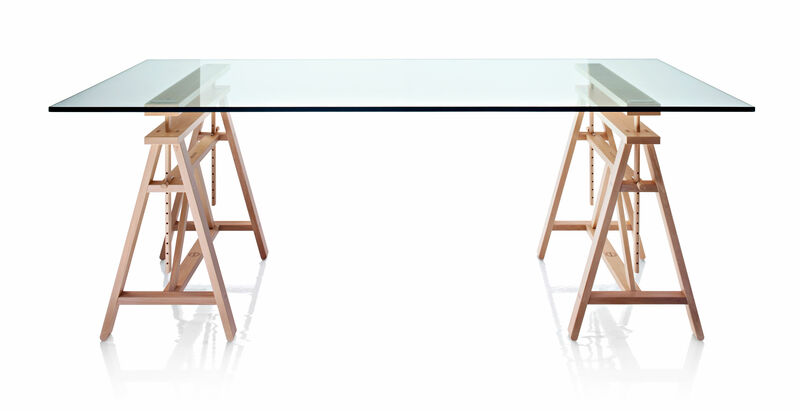 Marc Berthier redesigned it for Magis in the 80's, looking in its proportions for a structural and functional harmony for the use as a work table (seating and standing position), dinner table or console table. 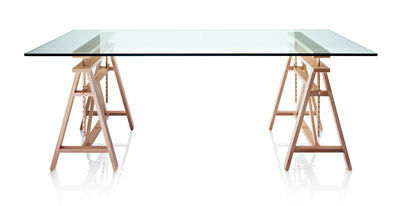 It is made of solid beech wood and assembled by visible tenons and mortises. Today the cavalletto Teatro is reedited by Magis.